To encourage our customers to place orders themselves on our website and improve our client’s loyalty, Lordhair created a reward system, also called loyalty points. 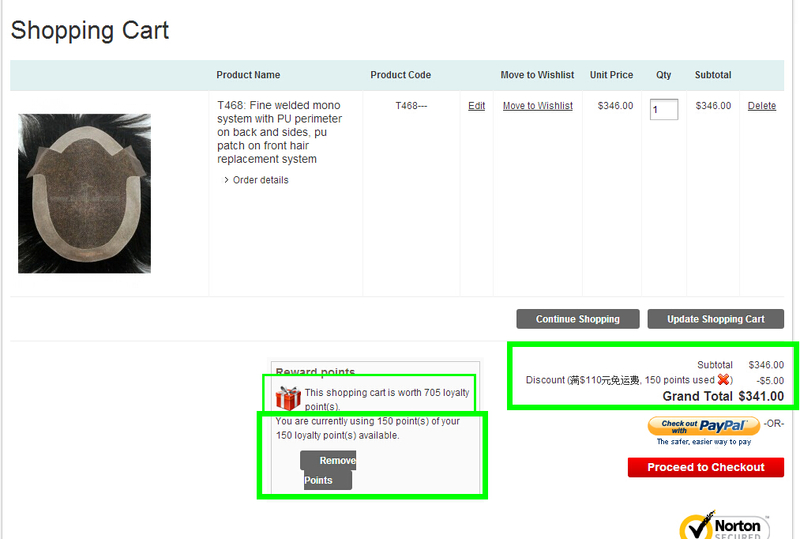 Many customers know about the reward points, but don’t know how to use it to get discount. Now, let's see how it works. The reward points can be found in the account dashboard. See screenshot below. In the screenshot, the registration points level is 150, which means you can get 150 reward points if you create an account at Lordhair. Every 30 points amounts to $1 USD (the same thereinafter), so registration gives you $5 (150 points/30points=$5). Each time you place an order, reward points are determined by the amount you pay. For each $1 you pay, you get 2 reward points. 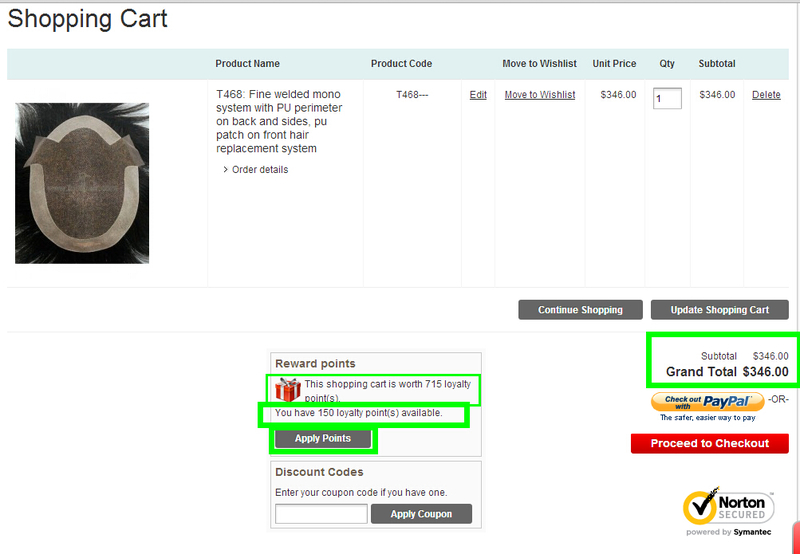 For example, if you pay $300 for an order, you will get 600 reward points. The 600 reward points can be used as $20 off your next order. That’s considerable. Now let’s see how to apply the reward points to get your discount when you place an order. When you come to the shopping cart, you will see the “Reward points” section in the middle, which shows the points you will get for this order and how many reward points you have. See the example below. If you don’t apply the 150 reward points you have and pay $346 for this order, you will get 715 reward points. You will have 865 reward points in total in your account. If you click the grey button “Apply Points”, what will happen? Let’s see below. The amount of the order is reduced by $5. The reward points come to 705 accordingly. 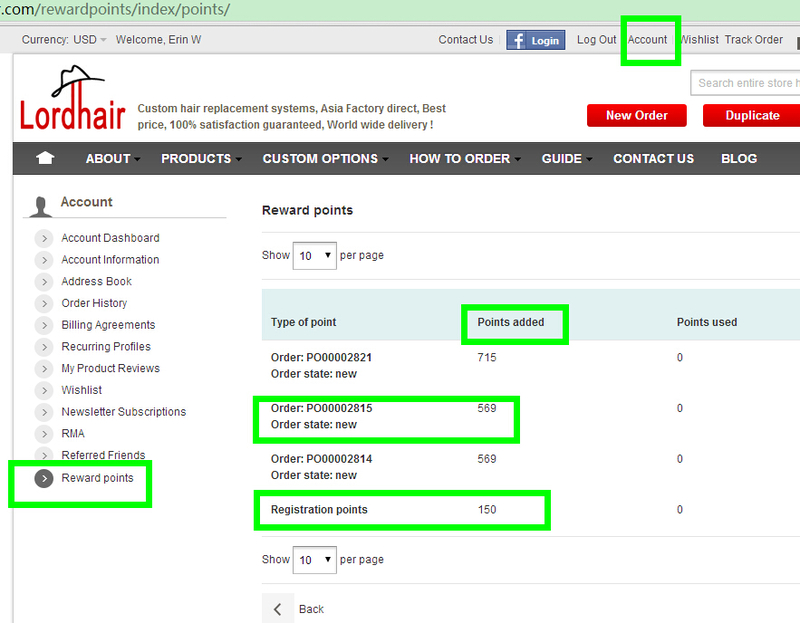 As a result, you will only have 705 reward points in your account after you place this order and complete the payment. Our policy is the more you pay, the more reward points you get, then the more discount you will enjoy on future orders. If you already have an account, why not make full use of the reward points to save money? If you don’t have an account at Lordhair, click the link below to create one and start to save now.